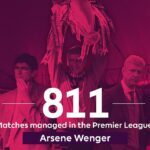 Marking the start of Arsene Wenger’s highly questionable two-year contract extension, Arsenal beat Leicester City 4-3 in a Premier League opener that only Wenger’s Arsenal could have provided. Their marquee new signing, Alexandre Lacazette opened the scoring with his first shot in the second minute for the joint fastest goal to start a new Premier League season. But Shinji Okazaki quickly equalized for Leicester in the fifth minute. Jamie Vardy then put Leicester ahead in the 29th minute, sending a familiar taste of anger and dread through the Emirates. 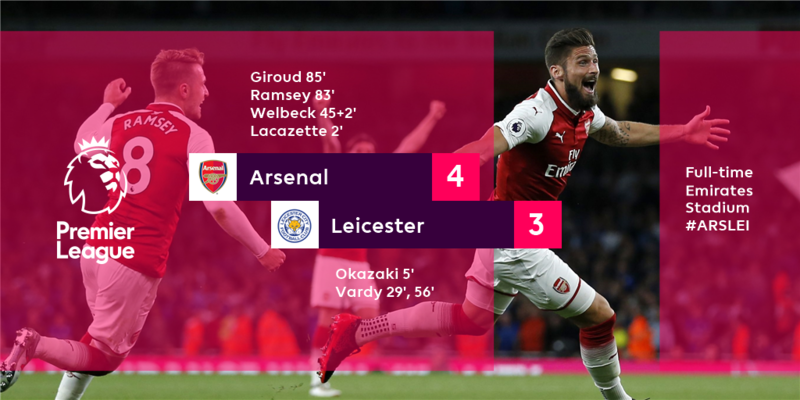 Danny Welbeck then equalized for Arsenal in the seconds just before halftime, but Vardy scored again in the 56th minute to put Leicester back up 3-2. Aaron Ramsey and Olivier Giroud entered the match in the 67th minute and they scored in the 83rd and 85th minutes, respectively, to give Arsenal a rather stunning 4-3 win. 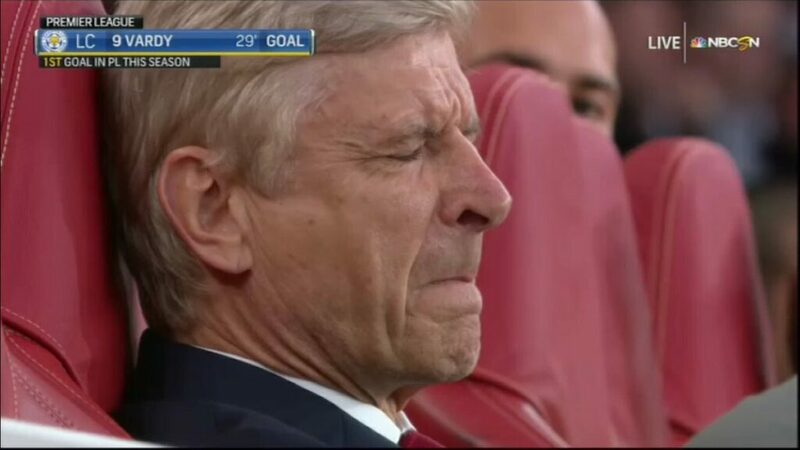 The following are Arsene Wenger deepest thoughts at select points during the match.